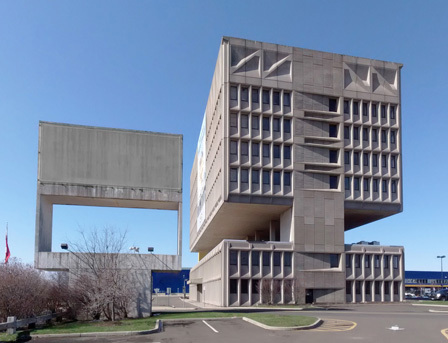 Folks driving past IKEA in New Haven often wonder what this building is — designed by legendary Bauhaus architect Marcel Breuer, it was the world headquarters for Pirelli Tires. Later, IKEA bought the land but left the building unused. Working with landscape architect Earl Govens and others, LANDTECH is spearheading design plans to renovate the structure into a very cool state-of-the-art hotel. And now we’ve moved one step closer with New Haven’s Planning & Zoning green-lighting the project to start work.